On November 24th, the grand stage show Silk Road and Youth produced by Dalian Art College was performed in the Great Hall of the People. This is the second time that stage art from the Dalian Art College has appeared on this stage since the grand symphonic epic Ode to Peace. The event attracted more than 6,000 Chinese and foreign attendees. 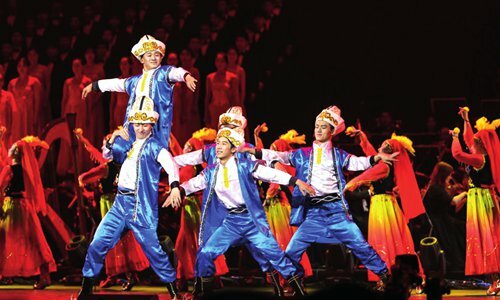 Silk Road and Youth takes the stories of two historic figures Zhang Qian and Zheng He as the cues, picking up artistic elements from different countries and regions along the Silk Road and combining them with music, dance, recitation and other forms of art.